Most species of Hymenoptera that live in hollows and recesses do not make the excavations themselves. 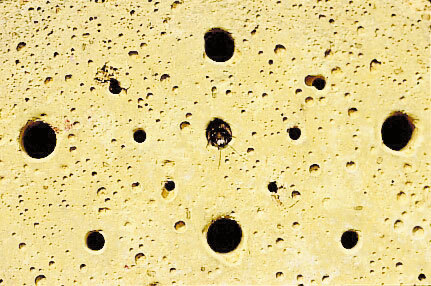 Instead they occupy existing holes, made by certain types of Beetles, in which they construct their brood cells. Because they regulate the numbers of insect pests, Hymenoptera are of major ecological and agricultural (and also economic) importance. They also have an important part to play as pollinators in the balance of nature. Much of our countryside has been cleared and cultivated and consequently there are not enough natural nesting places. Everyone should make an ­effort to provide nesting aids for insects. Suitable sites: There are no hard and fast rules for siting but care should be taken to select a sunny site that is protected from wind and rain. Examples of good sites include allotment sheds, pergolas, walls, gardens and even balconies up to the third or fourth floor. 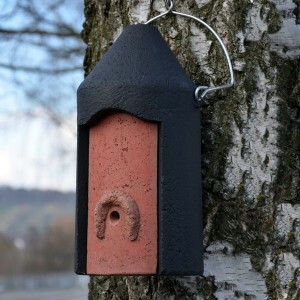 Nesting aids should also be left outside during the winter because otherwise the Insects will emerge from their winter hiding places too early and die. 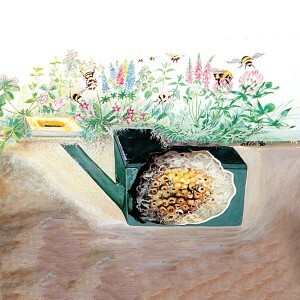 Occupants: Hymenoptera such as Wild Bees, Sand Wasps and Common Wasps. 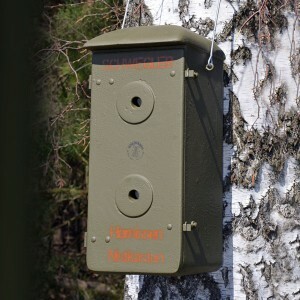 Effectiveness: The type of nesting aid that proves most popular with flying and other types of Insects will differ depending on the landscape and vegetation. In central Europe there are almost 600 species of Wild Bees, each with its own micro-climatic requirements with regard to habitat. 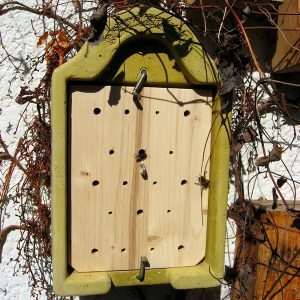 Occupation densities vary among the different insect nesting aids depending on whether they are made of wood, clay, reed or wood-concrete. Simply hang up our different nesting aids and see for yourself. These devices are maintenance-free, please do not try to clean, since you might destroy intact cells. Important! 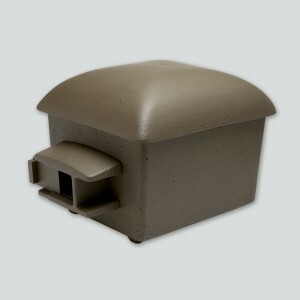 All the species that will use these nesting aids are peaceful and completely harmless to humans and pets. 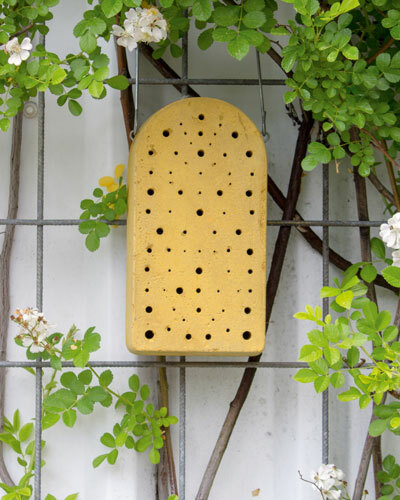 Insect nesting aid made from special SCHWEGLER wood-concrete that ensures a balanced interior atmosphere and is air-permeable. Supplied with galvanized metal hanger. Dimensions: W 14.5 x H 27 x D 8.5 cm.